Here are a couple of panoramas from one of WildStars’s first dungeon – The Ruins of Kel Voreth. It was hard, it was fun and it took about 3 hours as no one had been in there before! Included a bonus levelling shot as well. The long lost home planet of the Eldan, Nexus, has been found at last. It’s time to man-up, woman-up or just get-up and move your lazy-arse to Nexus and join the fight! I have started playing WildStar and so far, have enjoyed the 16 levels of content my Chua Spellslinger has experienced. The game is the most polished MMO launch I have experienced and I am enjoying the difficultly and lack of complete hand-holding the game serves up. I don’t set out to only capture the very best views (although I hope I find those along the way), but I also try and grab anything that I think is interesting. I picked the explorer path hoping to take advantage of the additional vantage points exploring provides and so far it seems to be paying dividends. Look out for more posts and panoramas over the next few months and then lets see where things go from there. A Chua named Antikas, Myrcalus server, For the Dominion! Before you say anything about the PS oil filter know that I just like the look of it on some shots. This one seems to work for me. 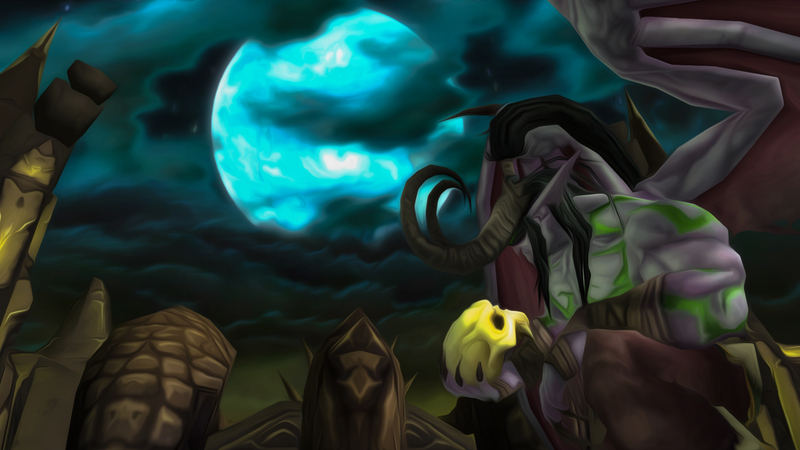 It’s a toss up between the Illidan and Lich King shots for my desktop background atm. Click to get new posts fresh in your inbox!